Meta robots tag controls spiders from crawling and indexing your webpage or post. In this post, we will see all types of tags in detail. We can use more than one meta tags in a webpage but its not a good practice because it can cause conflicts. Hence it should occur only once in a webpage. If you don’t specify any meta tag in a webpage then by default spider will crawl and index your webpage. you can say that it considers below meta tag by default. It prevents page from being indexed. It means if you specify below meta tag for a page then that page would not come up in search results. For example: you wouldn’t want your author pages to come up in search results so to prevent it you can use below Meta robots tag in author pages. This meta tag prevents spiders to follow any link on the page. If you are a newbie then it may be confusing to you. Let me explain you in detail. Whenever spider( Google bot) finds a link (internal or external) on a page, it lands on that webpage for crawling and indexing, to enforce spider for not following any link on the page, we can use this tag. To understand it better you can refer my post Dofollow vs nofollow. You must have seen in search results that whenever you hover on any result it will show a snapshot of that page at the right side of the Google search (see the below sreenshot!!). That we call a cached copy of the webpage. To prevent a page from being cached we can specify below tag. Prevents Search engine (Google, Yahoo and MSN) to display its own description taken from its directory, instead of you meta description. Using below tag would ensure that Search engine would display your meta description below search results and it would be useful to improve your CTR. It is same as above NOODP tag, the only difference is that it would be applicable for Yahoo only. We should use it only once per page and its the best practice, but sometimes because of combination of SEO friendly themes and SEO plugins, we may have multiple instances of such tags. So for such cases lets discuss how spiders (or crawlers) would interpret it. CASE 1: No conflict values in robots meta tag. CASE 2: Conflicts value present in robots meta tag. In this case both values are conflicting as one tell to noindex and other is enforcing spider to index the page. For such cases crawlers considers first instance of conflicts. So search engine bot would take it as <meta name="robots" content="noindex" /> because noindex encountres before than index one. So, if you want to make your page nofollow for Google bot only then you can use below tag. 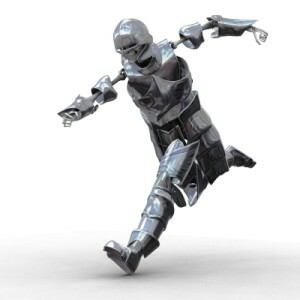 Note: In meta name I have given “Googlebot” instead of “robots” to make it applicable for Google search engine bot only. Informative post. I never really understood most of this meta terms but now i know.. Thanks very much! Thanks for giving all of this information! It’s very useful and helpful. Actually am searching on noodp and noydir tags. Recently learn matt cutts articles about these terms and understand efficiently. Your article is helpful for beginners. Well if any one use that Meta tag which prevent spiders for crawlling and indexing then how it get positive results.